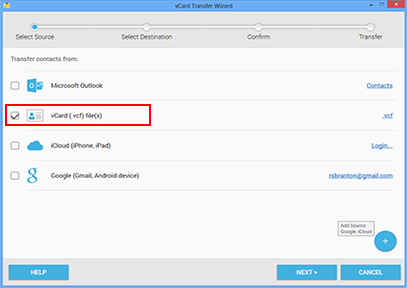 Export iPhone contacts to vCard (vcf) file, Outlook, Google (Gmail, Android) or another iCloud account. vCard Wizard Contacts Converter Pro Edition is the easiest way to export iPhone contacts to vCard. In just a few seconds, the contacts you have selected will be saved to a single vCard file.